I got home from my awesome Vinyasa Playlist Yoga class a bit late last night and wanted to make something super fast and easy without a lot of equipment. For this coleslaw I just threw everything into the food processor using the grating attachment. I just used what I had in the refrigerator, but you could easily use a white cabbage, add in some red peppers, some oranges and avocado would work well instead of seeds too. 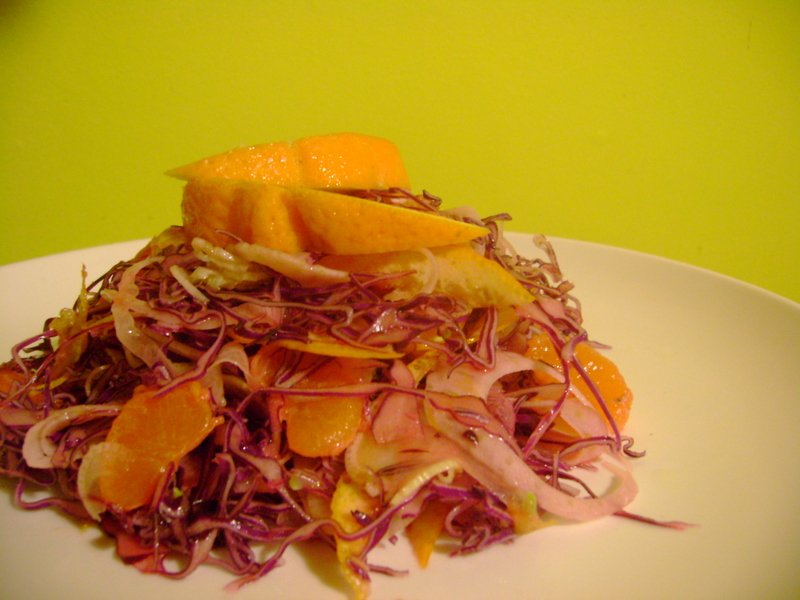 Using a grating blade shred the cabbage, carrots, apple & celery in your food processor. Throw this mix into a bowl and add raisins & seeds. Then squeeze orange & lemon juice over the top.